More than 100 girls were missing on Wednesday, police said, two days after a Boko Haram attack on their school in northeast Nigeria that has raised fears of a repeat of the 2014 Chibok kidnapping that shocked the world. But fears have been growing about the whereabouts of the students. Around 50 parents and guardians converged on the school on Wednesday to demand answers, as police said 111 were still missing. The police commissioner of Yobe state, Abdulmaliki Sumonu told reporters in the state capital, Damaturu, that "815 students returned to the school and were visibly seen, out of 926 in the school". "The rest are missing. No case of abduction has so far been established," he added. 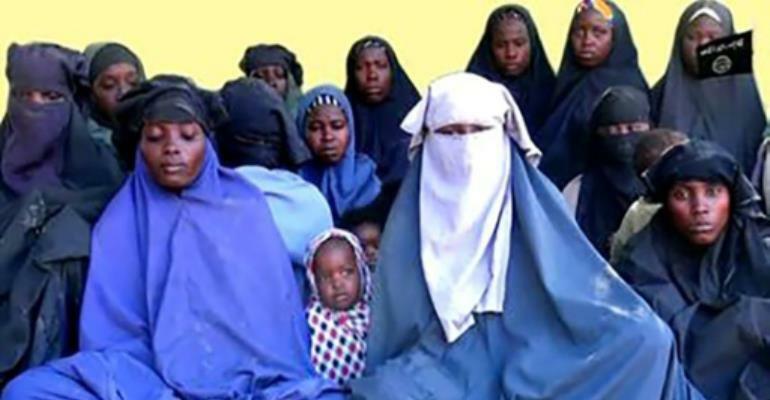 The length of time since the attack and Boko Haram's use of kidnapping as a weapon during its nearly nine-year insurgency has increased fears of another mass abduction. A total of 112 are still being held. Abubakar Shehu, whose niece is among those missing from Dapchi, told AFP: "Our girls have been missing for two days and we don't know their whereabouts. Yobe's education commissioner, Mohammed Lamin, said the school had been shut and a rollcall of all the girls who have returned was being conducted. Nigeria's information minister said he would visit Dapchi on Thursday with the defence and foreign ministers. Some 300 children were among 500 people abducted from the town of Damasak in November 2014. Getting accurate information from the remote northeast remains difficult. The army still largely controls access and infrastructure has been devastated by nine years of conflict. In Chibok, the military initially claimed the students had all been found but was forced to backtrack when parents and the school principal said otherwise. The mass abduction and Jonathan's handling of it was seen as contributing to his 2015 election defeat to Muhammadu Buhari, who promised to bring the Boko Haram insurgency to an end. But despite Buhari's repeated claims the group is weakened to the point of defeat, civilians remain vulnerable to suicide attacks and hit-and-run raids in the remote northeast. "They need money for arms, ammunitions, vehicles, to keep their army of fighters moving across the borders," said Amaechi Nwokolo, from the Roman Institute of International Studies. "They're spending a lot of money on arms and logistics."